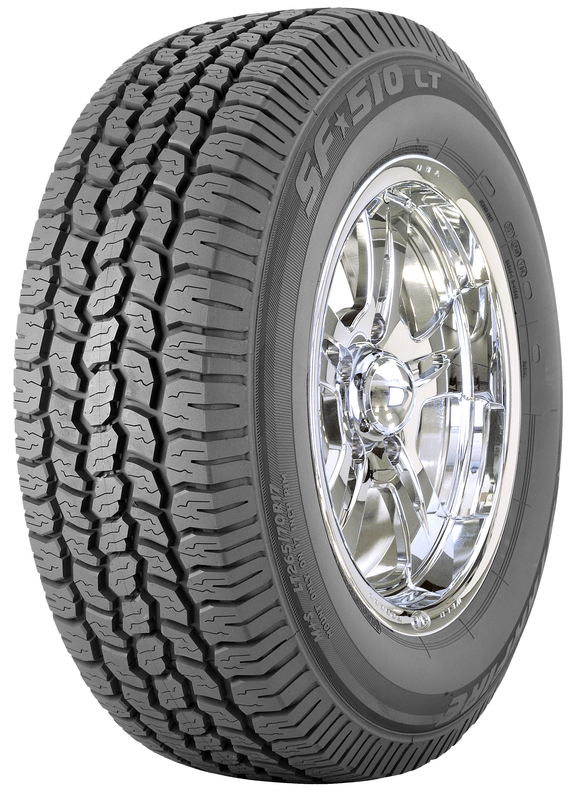 The Starfire SF*510 LT is a light truck value design with premium all-season performance at "value tire" cost. The SF*510 LT has size coverage for today's most popular vehicles. the five-rib tread design creates a pattern of gripping edges that allows the tire to perform equally well on the road and off. provides excellent year-round, all season performance. A wider tread footprint along with a dual radius tread arc, gives this tire uniform pressure distribution across the contact patch for even wear and consistent grip. available in outline white letter and outline black letter styling in specified sizes.